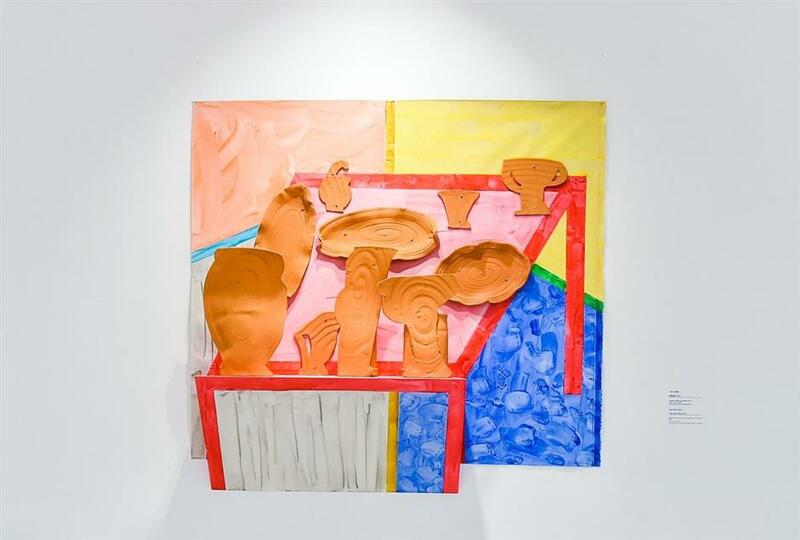 Shanghai's K11 art museum is exhibiting the works of renowned American artist Betty Woodman for the first time in Asia. The chi K11 art museum is exhibiting the works of renowned American artist Betty Woodman for the first time in Asia. “House and Universe” features a variety of Woodman’s mixed-media works from the past decade, including sculptures, triptych vases, large installations and canvas pieces, in addition to some of her earlier works. The artist, born in 1930, died in January 2018 of natural causes. Woodman became “fascinated with the magic of ceramic glaze” in her school days. And she was the first living female artist featured as a subject of a retrospective at the Metropolitan Museum of Art in 2006. Her artistic earthenware creations are a vast departure from the daily functionality associated with pottery. She managed to break away from the inevitable connection between household containers and domestic life, in turn redefining people’s impressions of women and their traditional roles within the home. Woodman’s works leverage the spirit of regional cultures through a multiple of historical eras through the use of clay. They embody the traditions of ancient Crete, Egypt, Greece and Etruria, as well as featuring the styles of Baroque architecture and artists such as Pierre Bonnard, Pablo Picasso and Henri Matisse. 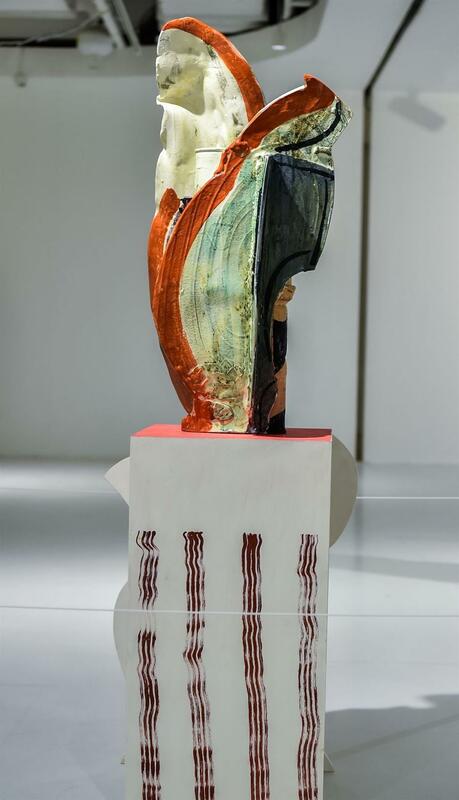 Woodman has also been inspired by China’s Tang Dynasty tri-color glazed ceramics and kimonos of Japan that fuse the planarity of the second dimension with the tangibility of the third to create the technical clay of contemporary art. At the exhibition, K11 has specifically established a women’s festival “I AM WHO I AM” and a spring-themed event “Metamorphosis” in which the art space has been “dressed up” into a butterfly-esque museum in order to pay tribute to the artist on behalf of all women. There are not only real butterflies and butterfly decorations, but also the installation work “The Butterfly Lion” created by Chinese contemporary artist Zhou Li. Using stainless steel and other metallic materials, the work depicts the graceful lightness of butterflies, suggesting that the butterfly undergoes a sublimation of life after emerging from its infant stage. Meanwhile, a number of exclusive butterfly products will also be launched, including “The Sound of Me,” a limited-edition hand crank music box with visuals specially designed by Icelandic artist Kristjana S. Williams. Visitors can convert their names or whatever they would like to express into a butterfly pattern on punched paper tape that the music box will play as their own personal melodies. Address: B3, 300 Huaihai Rd M.